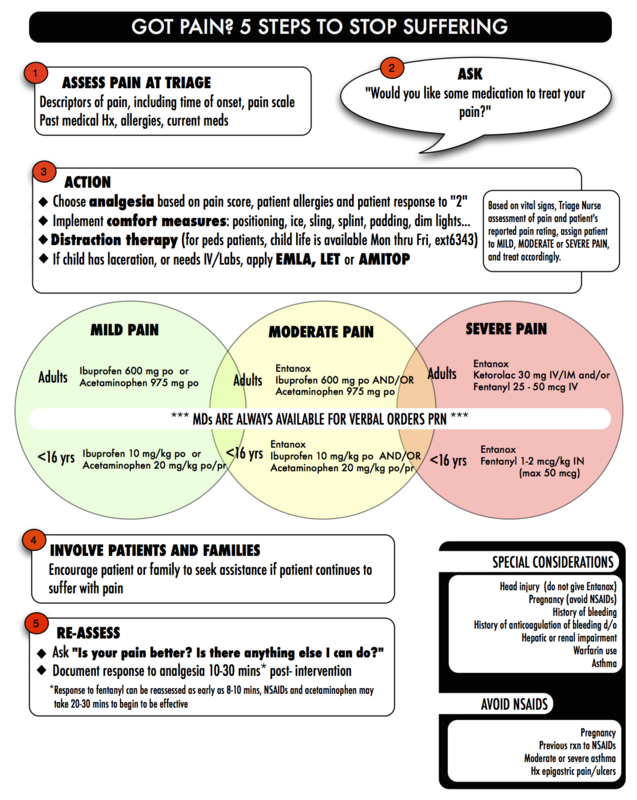 Pain management is one of the most important components of patient care in the Emergency Department. Evidence suggests that patients in pain are commonly under-treated, under-recognised and treatment is often delayed. The process for recognition and management of pain should be a priority for Emergency Departments. Pain control should start in the pre-hospital phase for those brought in by ambulance or at Triage for those who self-present. Response to analgesia should be monitored during the patient’s stay in the Emergency Department and consideration given to analgesia requirements post discharge.